Batteries are a key component in a stand-alone renewable energy system. If you are installing a wind, solar panel or hydro electric system that will be tied to your utility grid, you will still need deep cycle batteries if you are trying to use power in the event of an outage. Without deep cycle batteries, you can only use power at the time you produce it (i.e. you will not have power when the sun isn’t out if you don’t have batteries in your solar electric system). 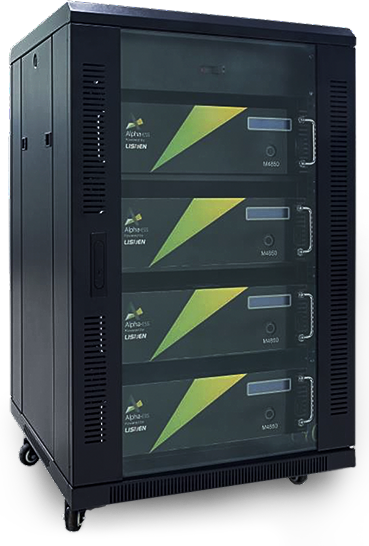 – are the latest and most praised solution for storing energy nowadays although more expensive, they can store energy that is around 90% usable and will live on full capacity capabilities for 10 years and more, while lead acid batteries must stay below 50% of their storage capabilities to live not much more than 5 years. If you do the math you will see that it is not even more expensive to buy lithium batteries now as prices of lead acid batteries only go up! It is capital demanding but you win in terms of ROI. Deep Cycle Batteries – are the other option for most types of Solar Powered Systems. IN CASE OF LEAD ACID SOLUTION, we choose to recommend our “RE” series top of the range trojan batteries, Trojan batteries have been manufactured since the 1920s they have more than proven their values through time , the result is the delivery of a & years international warranty on these top end models.